We dedicate ourselves to helping brands build and grow their digital presence. Led by an award-winning team, we bridge the gap between strategy and execution in pursuit of high quality results. By utilizing our digital prowess, we deliver performance that cultivates growth for our clients. We help businesses connect with the right audience wherever and whenever.  The Landy award for best Best Overall SEM Initiative (Small Business) went to Magnitude Digital in recognition of the agency’s campaign for California-based start-up Surf Air, which operates a membership-only fleet of private planes serving business travelers in California.